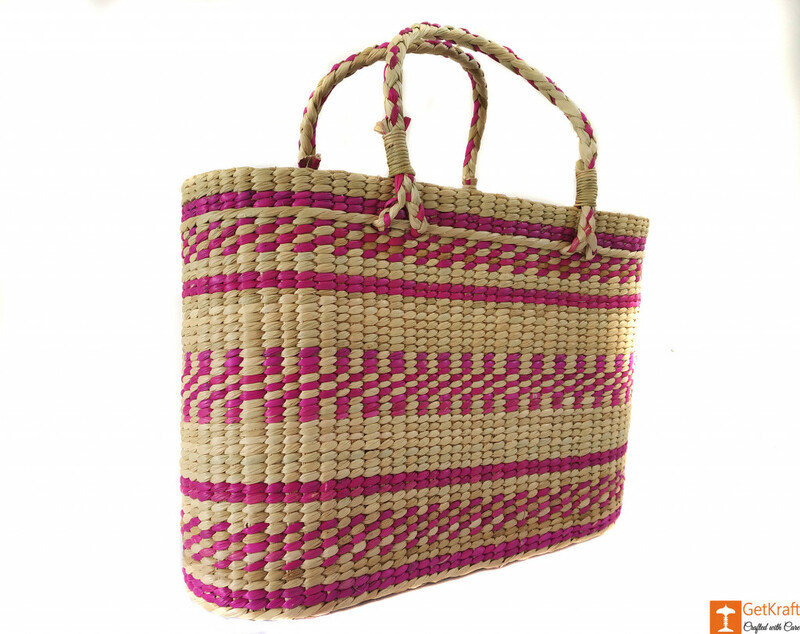 This cool bag is made from Kauna grass(Water reed). 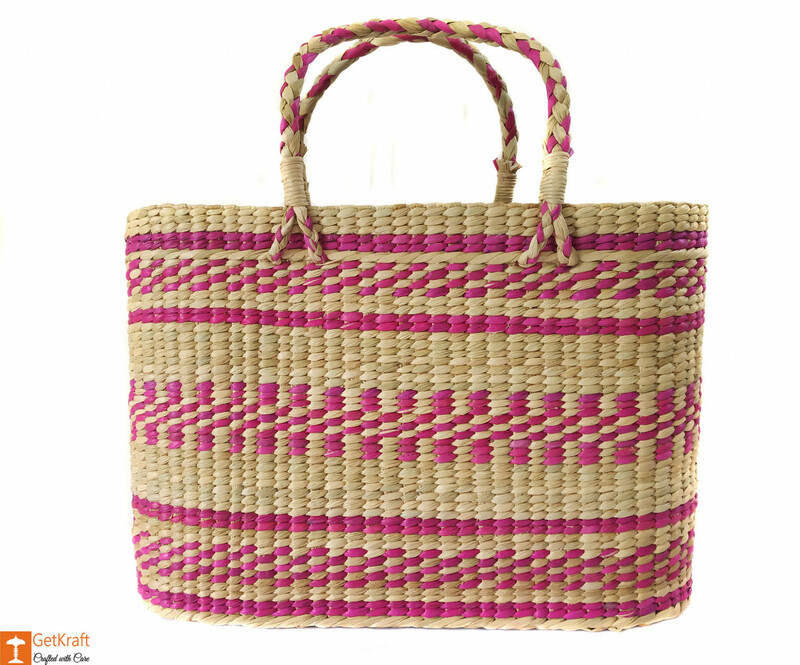 It is eco-friendly and designed with pink patterns all over the bag which gives it a simple yet stylish and trendy look. We promise to deliver authentic and best quality products at best prices. 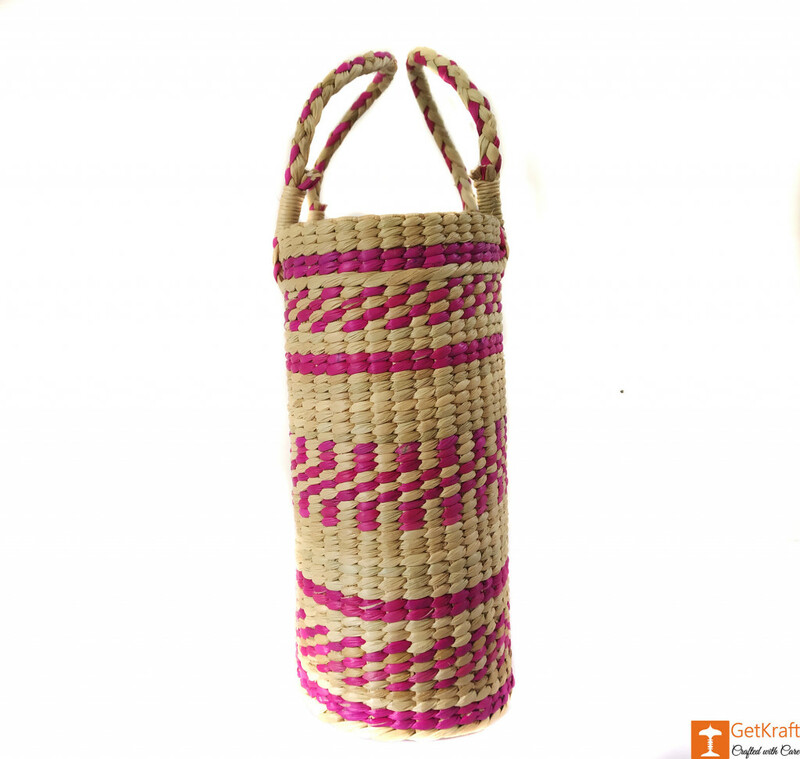 A great accessory for your outings with friends or for shopping. Good amount of room for everything you want to carry.